Product prices and availability are accurate as of 2019-04-20 22:18:34 UTC and are subject to change. Any price and availability information displayed on http://www.amazon.com/ at the time of purchase will apply to the purchase of this product. Author Bookstand is proud to offer Last Papers by Bookstand Publishing. Bookstand Publishing offers books by the best indie authors throughout North America and the world. Bookstand Publishing is dedicated to offering original content to a broad audience and promoting great authors, literacy, and freedom of expression. 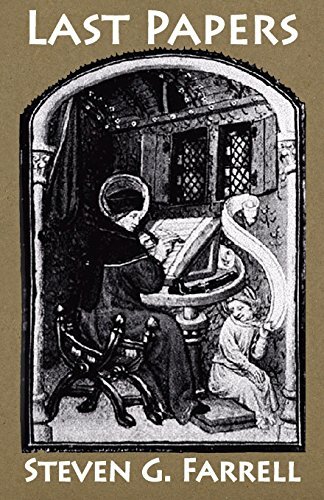 Last Papers has generated a lot of interest and excitement and we think it would be an excellent addition to your library. 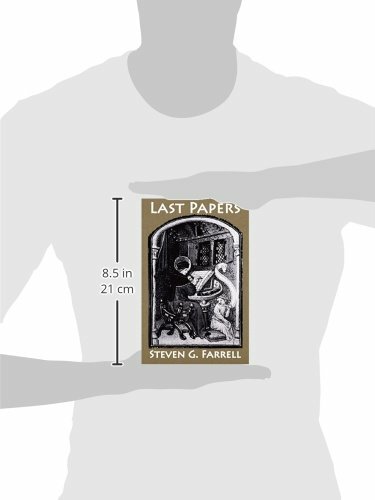 Last Papers is a collection of nine papers, including fiction and nonfiction, by Steven G. Farrell. Professor Farrell teaches in the Speech Department at Greenville Technical College in South Carolina. He has also taught in Japan and Saudi Arabia. His most popular work is Mersey Boys, a novel about the Beatles. 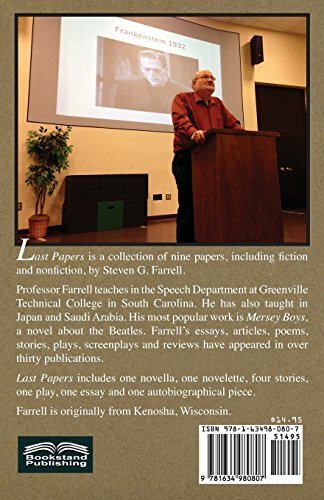 Farrell's essays, articles, poems, stories, plays, screenplays and reviews have appeared in over thirty publications. "Last Papers" includes one novella, one novelette, four stories, one play, one essay and one autobiographical piece. He is originally from Kenosha, Wisconsin.